August 11, 2017 – Spectrum Aeromed has completed production on its 3200 Series Carbon Fiber patient transport unit (PTU), a fully carbon fiber unit that can turn VIP aircraft into emergency air ambulances for medical transport. The unit can be quickly attached into standard aircraft seat tracks, with fast conversion times enabled where the unit is not installed permanently. 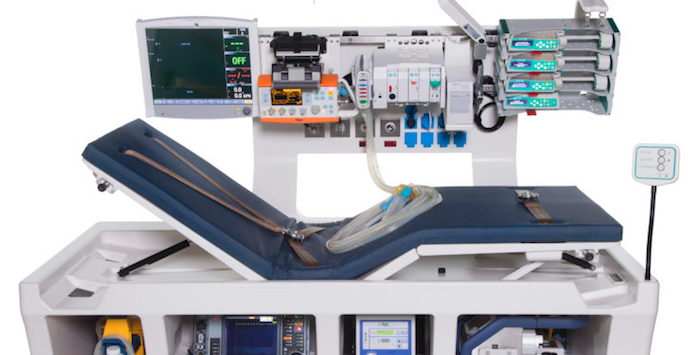 Equipment pull-outs, storage drawers, an integrated or movable stretcher, and a wide range of medical devices can be customized to uit mission profiles.